2. Delete BBM and reboot device. and use the links below depending on your OS type. Hi, I was wondering,if I reinstall, would I lose all my contacts? It won't affect your contact at all. 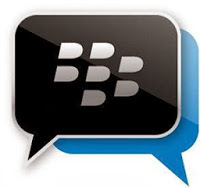 I believe you have bb protect so it will automatically back up all ur contact. I just tried it now on my pc using fire fox and the 3 links work perfectly well. Perhaps you should check your network connectivity. If you are still having problem downloading it, just send me a mail with the os version you want and i'll send it accross to you. Keeps saying server timed out. Thank you SO much! I've been trying to figure out how to get the older version back for a few days now and all the other websites pretty much sucked. Thanks! downgrading downloads are successfully but bbm wont come up. What do i do?